Anticipating the future needs of a community can be a difficult task. As innovation changes how we communicate, travel and live, so do the ingredients of what makes a community thrive. Still, there are staples within a community that stand the test of time. Rockford believes that creating beautiful spaces to socialize, eat, drink, shop and unwind is essential to the cohesiveness of a community. No matter what the future holds, the need for places to connect remains. These spaces spur community, connection and engagement. Rockford aims to bring our clients’ visions to life through our acute attention to detail and quality. Using our preconstruction services and project coordination expertise, Rockford provides unmatched service to our clients and ensures every detail is delivered, installed and built according to specifications. 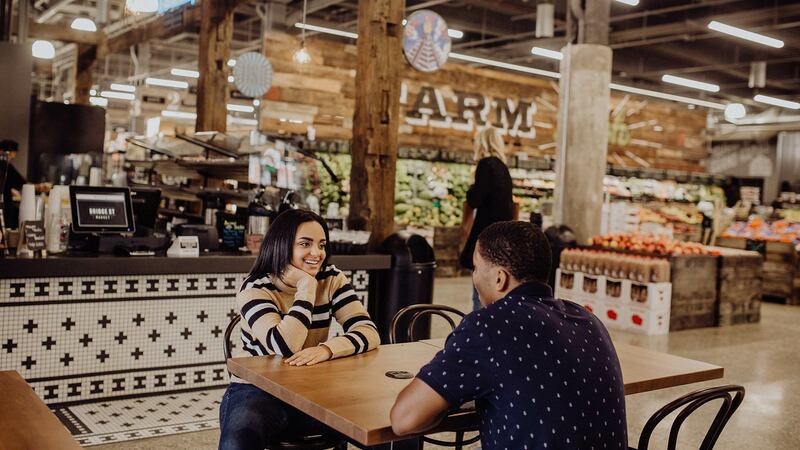 From restaurants to the places you shop, these spaces spur community, connection and engagement.